Aww, Omodaka was just jealous and wanted to be loved by his mother. It’s sad how he was so little and didn’t have anyone to tell him explain to him the things that were going on and he had to find answers all on his own. So then he came to the conclusion that his mother hated him and whatnot because no one was there to tell him the situation and circumstances. Daidai.. -__- why is she jealous of her sister when her sister is suffering for her sake? Suskihotaru and Bonbori and Houzuki took action and fought. I thought that they couldn’t do much without Zakuro; I really thought that Zakuro was the only who knew how to fight and that these other three were only there to sing. >3> I was wrong and I’m glad that they got to show that they can fight even though they can’t fight like Zakuro. Riken took the initiative and freed the fox spirits while saying ‘Agemaki is right, we can’t always rely on you girls’. One more thing, the group’s reaction to Omodaka, the villian, being Hanadate was different from what I was expecting. I expected for it to be more like ‘GASP, LIEUTENANT HANADATE? WHY? WHAT? HUH?’. 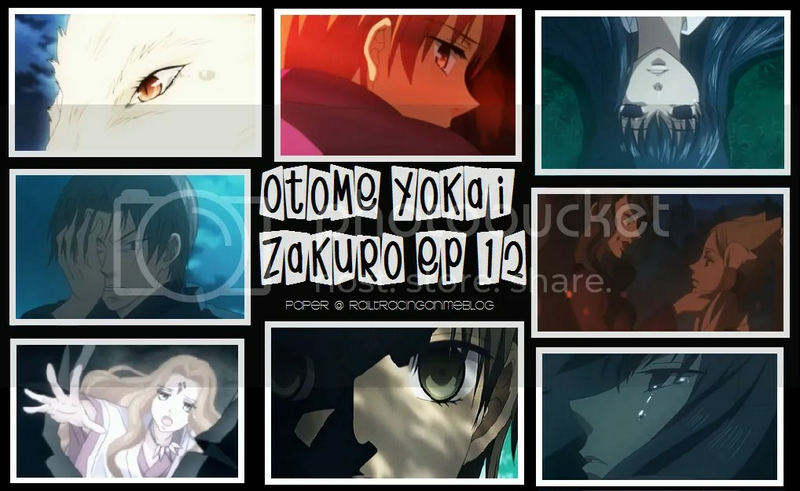 This entry was posted in Anime, Currently Watching, Otome Yokai Zakuro and tagged anime, otome yokai zakuro. Bookmark the permalink. I know, right? you can’t help but feel sorry for him while disliking him. Lol, i thought she was going crazyy. Haha yes, because he is twisted ( trying to kiss his sister -____-) I’m glad that it didn’t happen. Lol my sister saw me watching it at that part and she was like O.O what are you watching? Haha yes so will I, and hopefully they sing the song they used to always sing when zakuro would fight. Hmm I’m not sure probably not, I’m not sure if I could find where to read it.